Plot – In 5 days the world as we know it will end and UFO investigator Robert Casey (Lynch) and other worldly being Jaelen (Hammer) must work together to find Jaelen’s human love interest before it’s too late. 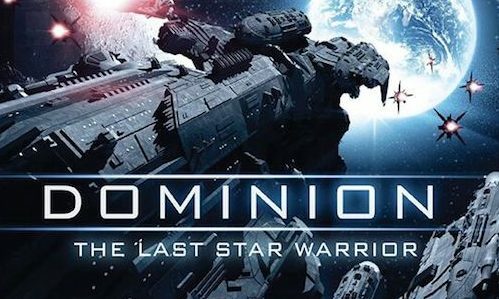 Released in certain territories around the world in 2015, Dominion: The Last Star Warrior is a rough, raw and ridiculous sci-fi experience that at its core harbors an interesting idea but in inception delivers a tiresome and dialogue heavy offering that is anchored down by bargain bin worthy delivery and a convoluted plot that is far too high reaching for director Richard Lowry’s 80 minute feature. If I was being honest, Dominion is almost (and I mean really close to being) a so bad its good event but thanks to its inability to instil itself with any sort of energy or heart, Lowry’s poorly executed effort becomes harder to bare as the runtime clicks ever so slowly onwards. After an initially intriguing set-up, you feel like it’s possible this could be a tolerable low-budget affair but after an extended opening credits period, Dominion starts to fall very quickly off the rails as its plot line becomes more apparent and increasingly tiresome. Centring around Barry Lynch’s retired US Intelligence agent turned UFO investigator Robert Casey and his dealings with Travis Hammer’s Jaelen, a human-like being from another planet whose operating as an observer on our planet and tells Casey about the unfortunate impending doom of Earth in 5 days, Dominion does have the bare bones of a decent story but it’s never allowed to grow in Lowry’s poorly delivered and badly acted tale. When you throw in a laughably bad love story between Jaelen and a women he fell in love with whilst on Earth and a bunch of other-worldly races and beings that we never really get to know much about, poor old Dominion never really stands a chance in a day and age where consumers expect a certain amount of quality control and performances with a pulse. For the most tolerant and Sci-Fi obsessed movie goer Dominion may provide some type of entertainment for 80 minutes but for the rest of us, this shoddy and raw feature is an extremely tough viewing experience.